These friendly, quirky and personable lizards make great pets. Bearded Dragons are a fantastic choice for anyone looking for a pet with a difference. Corn snakes can truly become an intriguing addition to any household. 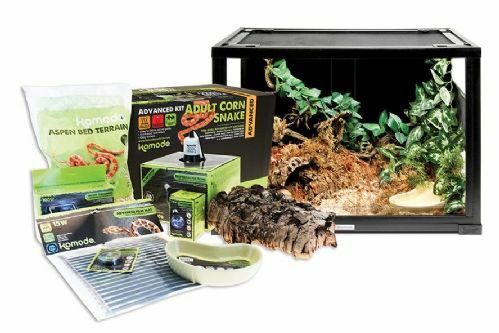 This Advanced Enclosure Kit contains everything an adult Corn Snake needs. With minimal maintenance, they are ideal for a novice keeper and with regular, gentle handling can become a wonderfully rewarding pet for any home. 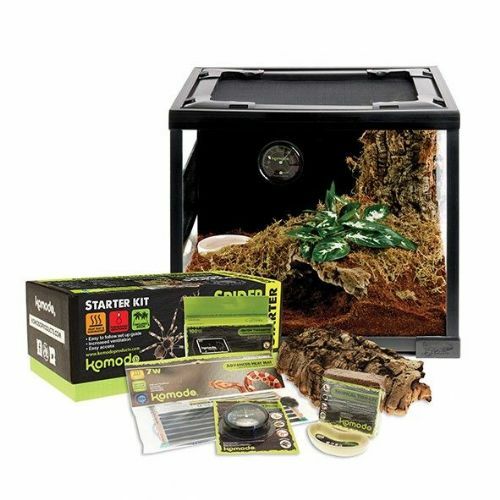 This Advanced Kit contains everything for Leopard Geckos from hatchling to adulthood. 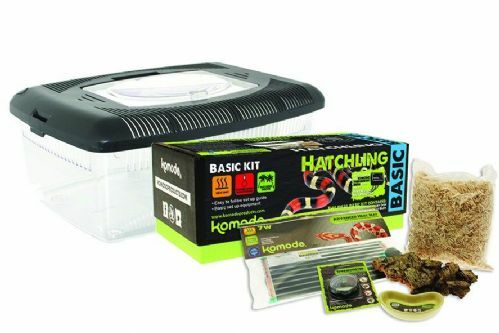 All the essentials to set-up & keep hatchling snakes including corn snakes, milk snakes and many more. 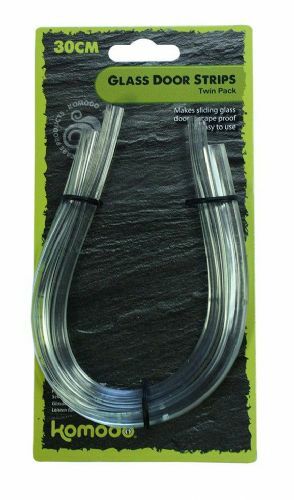 Ideal for beginners and great for children, just add your own decoration. Easy to set up, and easy to clean. 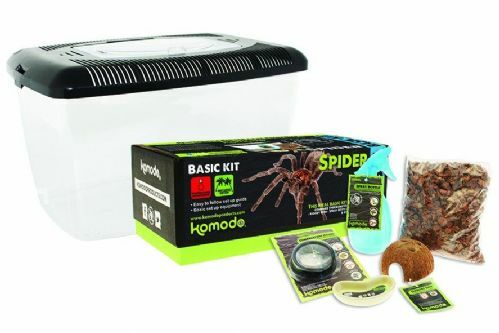 All the essentials to set-up & keep pet spiders. Ideal for beginners, and great for children, just add your own decoration. Easy to set up, and easy to clean. 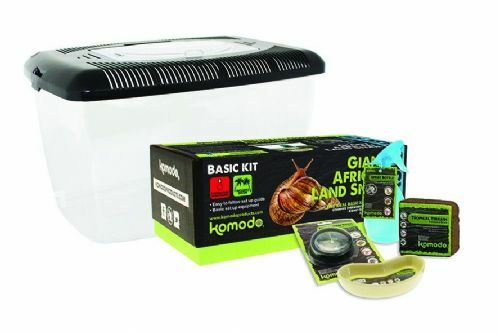 All you need to provide a perfect home for a Giant African Land Snail. Ideal for beginners, and great for children, just add your own decoration. Easy to set up and easy to clean. Sliding doors on terrariums commonly have a small gap where the doors overlap. Komodo's Glass Door Strips reduce the possibility of feeder insects and hatchlings escaping through that gap by sealing the open space. Reptile keeping came of age with attractive terrarium design. Beautiful, well dressed reptile enclosures became living art to be proudly displayed in the home. 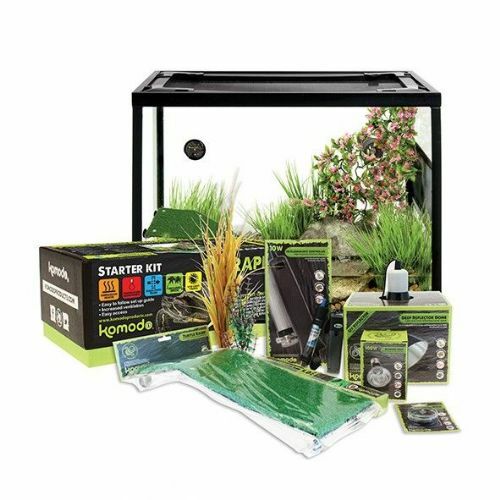 A great kit for anybody looking to keep Leopard Gecko's for the first time. As a terrestrial lizard, leopard geckos love a heated floor and plenty of places to hide. Equipped with heat mat, shelter and nutrition supplement. Young Royal Pythons need plenty of shelter and a substrate that can handle a little humidity. 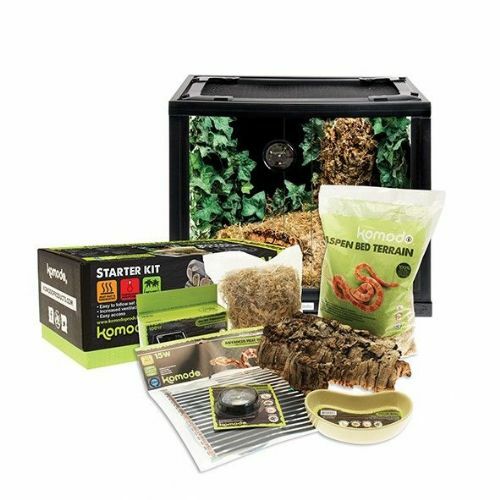 The Royal Python Starter Kit is suitable for hatchlings and young snakes up to around one year of age. All the essentials to create the correct environment for spiders & scorpions. Ideal habitat for deep burrowing species Includes terrarium, heat mat, thermometer/hygrometer, substrate & water dish. 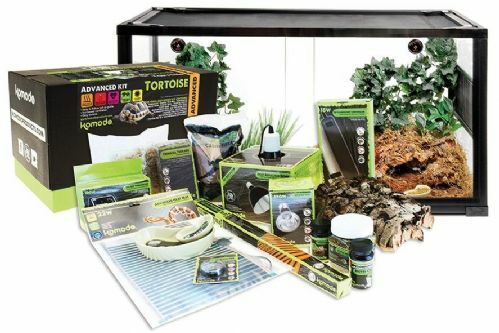 This starter kit is ideal for young turtles in the care of hobbyists with some reptile keeping experience. Musk Turtles, Mud Turtle and Reeves Turtles are amongst the most popular and suitable pet species. Komodo Plastic Terrariums have many different uses. 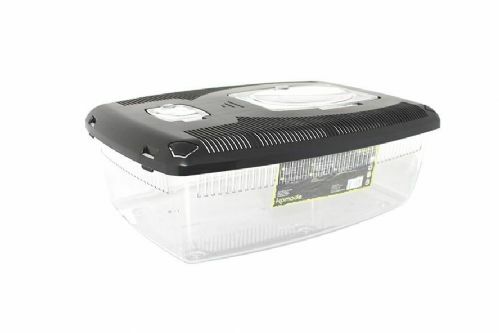 They can be used for transporting reptiles and livefood, make ideal full time spider enclosures and they’re great as hatchling tubs to house baby reptiles too. 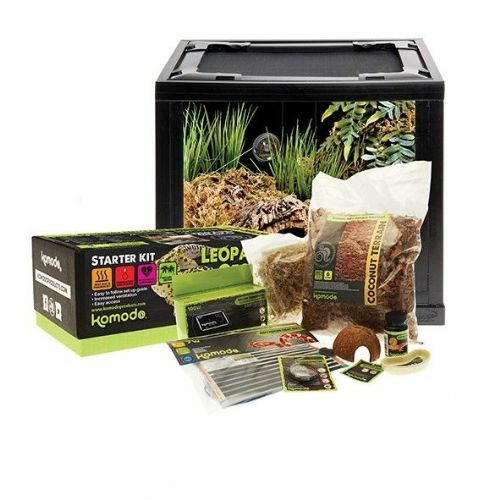 With its black satin finish and sliding front design, this habitat provides a suitable enclosure for most reptiles and amphibians.